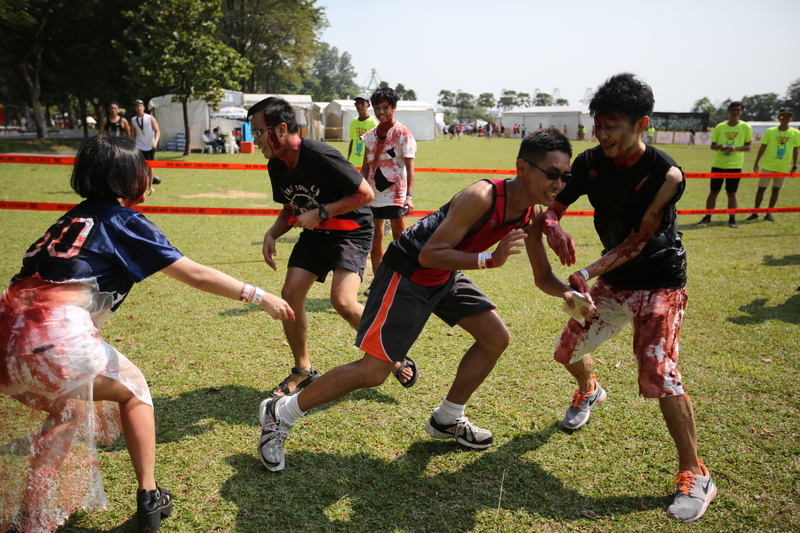 25 October 2014 – Singapore caught on to the zombie fever yet again, as over 5,000 Survivors and Zombies took part in the second edition of Run For Your Lives at the Grand Lawn, West Coast Park. After a successful first installment of the American franchise, which saw a sold out crowd in early January 2014, organisers Action X brought back the unique event in conjunction with Halloween. “Zombies and Halloween go hand-in-hand, which is why we brought Run For Your Lives back. 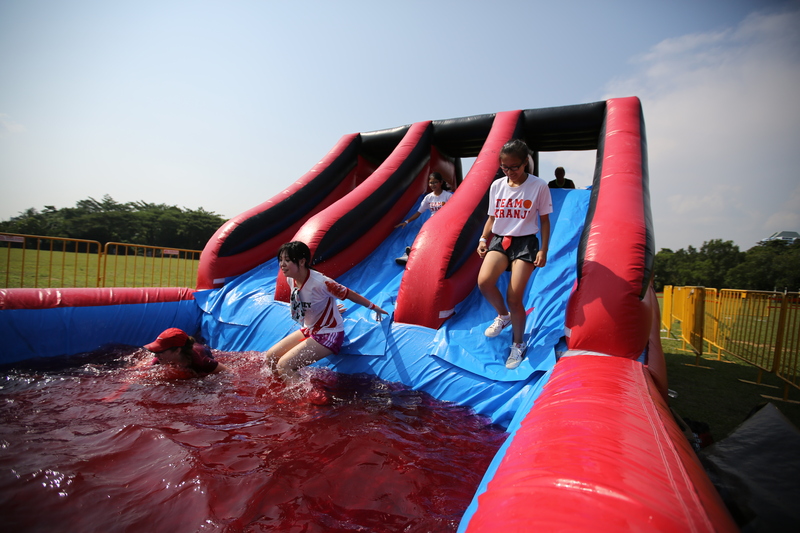 The second edition of Run For Your Lives this year featured even more interesting elements throughout the route, such as the Blood Pit and Low Wall. We are heartened by the response of the race, which saw friends, couples, and even families enjoy themselves tremendously. We look forward to bringing more of such entertaining events to Singapore.” said Timothy Tan, co-founder of Action X. 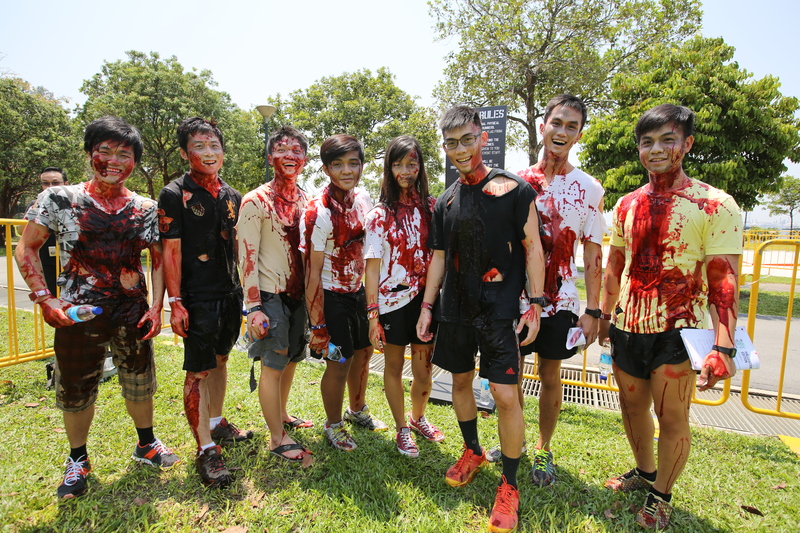 The event was indeed a thrilling one, with both Survivors and Zombies braving the heat to celebrate a week early. Zombies were put through an elaborate two-hour Zombification process before they were able to satisfy their appetite for humans. Once these zombies looked the part, they entered the five-kilometre obstacle course, ready to pounce on unknowing victims. Survivors started the race with three lives (flags) strapped to their waist. 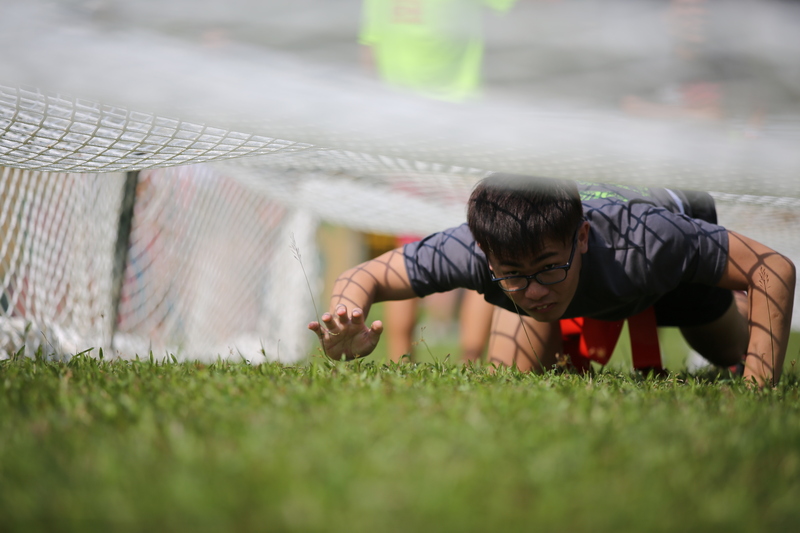 Once the sirens sounded, Survivors had to navigate through throngs of zombies and countless obstacles to reach the safe zone, with at least one flag remaining. Successful participants walked away with a Survivor medal while flesh-eating zombies earned themselves an Infected medal. After the flesh-eating, flag-grabbing activities concluded, the fun continued at the Apocalypse Party where Survivors and Zombies danced together to the music of renowned local DJ Ollie’des. 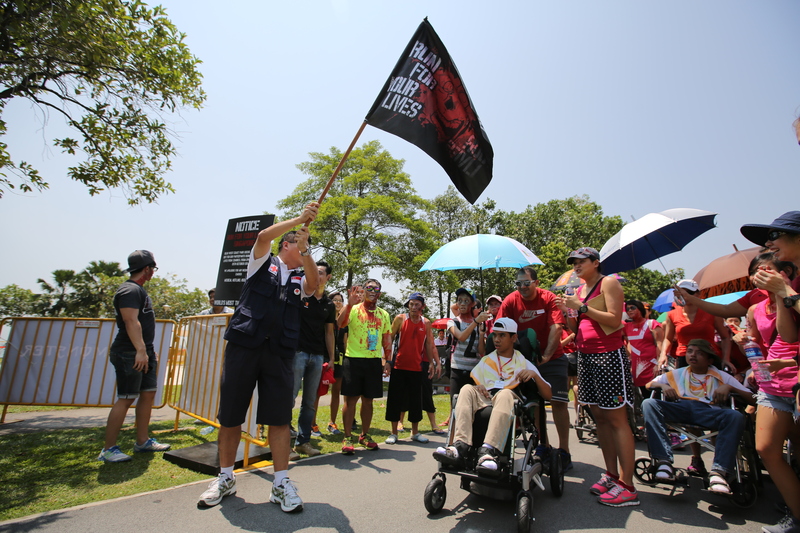 Beyond the fun and excitement, there was a special Walk-and-Wheel segment for Run For Your Lives’ adopted charity – the Singapore Red Cross Home for the Disabled (RCHD). 14 fearless wheel-chair residents, accompanied by volunteers and nurses, had a once in a lifetime opportunity to brave the zombies through a specially customized one-kilometre route. Upon the completion of the route, residents were presented with a Survivor medal, a RFYL event shirt and goodie bag. Laurence Goh, council member of the Singapore Red Cross, flagged the modified route off and walked alongside the RCHD residents and volunteers. “It is great that the residents get to enjoy themselves and live their lives as normal as possible, beyond the home. “This is an excellent collaboration and we are very grateful for this second opportunity to join RFYL. We would like to thank the organisers Action X for reaching out to the Red Cross organisation in Singapore and beyond the shore. We hope for more companies to be as charity-minded like them,” Mr. Goh said. The first chapter of Run For Your Lives (RFYL) kicked off with Baltimore in Jan 2011. After a successful 36-race blitz in the United States, the RFYL brand – World’s Most Thrilling Run, was brought to Asia by Singapore sports entertainment agency, Action X in 2014. Today, RFYL has spread across Asia, conquering one city at a time – infecting masses with a race of their lives they’ll never forget. 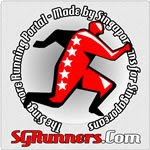 To share in the experience, please visit us at runforyourlives.asia.